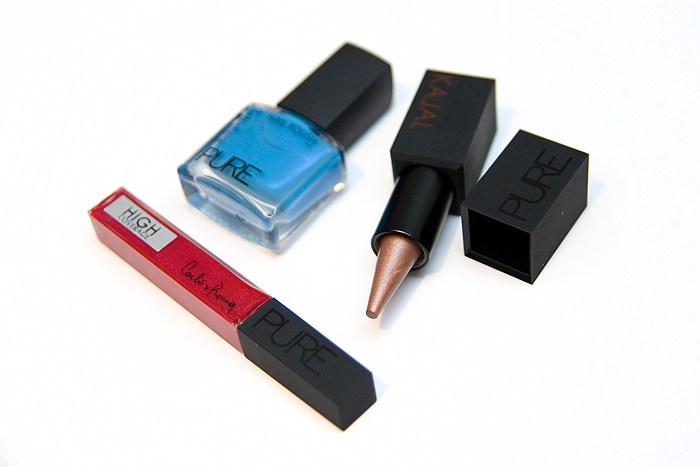 Want the chance to win some PURE goodies before they become insanely hard to pin down? I scrambled for the stand at my local Boots and literally grabbed the last few pieces I could see, and here they are! To be in with a chance to win, simply become a facebook fan of Lipglossiping (not me, the site!). I’ll select a winner at random from all you fannies (that will be funnier if you’re British) on the 25th April. Open to my lovely international readers as always. P.S. – I know that some of you would rather stick hot pins in your eyes than sign up on facebook, so if you wanna join in the fun but are allergic to the “book of faces”, drop me an email with the subject “PURE GIVEAWAY” (and a few lines of text to get past my spam filter) and I’ll make sure you’re entered too! Great giveaway, I’m already a facebook fan! Goodie!!! I’m excited. I’ll head on over there now! Just became a fan. Please enter me! But YAY for the giveaway, I’ve entered! Just became a fan 😀 (I’m Kirti Aparajita Kumar on FB). Pls enter me.